Killswitch Engage is an American metalcore band which saw its formation after the disbandment of Overcast and Aftershock. The band was formed in the year 1999 in Westfield, Massachusetts. The current members of the band are vocalist Jesse Leach, bassist Mike D’Antonio, guitarists Joel Stroetzel and Adam Dutkiewicz and drummer Justin Foley. So far, the band has released five studio albums and one DVD. The 2004 release ‘The End of Heartache’ placed the band into the limelight which went on to reach #21 on Billboard 200 and gained Gold certification in December 2007. The album’s title song ‘The End of Heartache’ was also nominated for a Grammy in the year 2005. 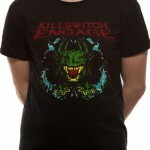 Killswitch Engage is also famous for performing at various international festivals all across the globe. To date, the band has sold over 4 million records in US. 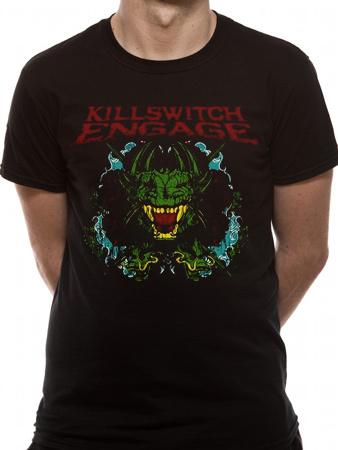 Killswitch Engage is also known as one of the pioneers and founders of metalcore.